GREATER FORT LAUDERDALE, Fla. (December 12, 2018) — Greater Fort Lauderdale’s growing art scene will be in the spotlight with the debut of Fort Lauderdale Art & Design Week, January 19-27, 2019. Anchored by the third annual Art Fort Lauderdale – “The Art Fair on the Water,” the inaugural Fort Lauderdale Art & Design Week will bring together the destination’s cultural community for a week of museum exhibitions, shows, art studio tours, gallery openings, architectural walks, dining experiences, round tables, exclusive parties and more. Art & Dine Lauderdale (January 19-27) – A delectable restaurant promotion showcasing Fort Lauderdale’s culinary arts. Sistrunk-A-Fair (January 20-26) – Presented by Art N Soul, this week long expo features several activations that include exhibits, performances and films throughout the historical black communities of Broward County. A1A Architectural Fair (January 21-25) – This inaugural event presents the creativity of architects based in South Florida and beyond through innovations in architecture. Symphony of the Americas: "Magico" Visual Concerto (January 22) – Big screen images through ground-breaking performance art, features symphonic photochoreography to familiar classics by Nicholas Bardonnay, noted photographer & multi-media artist, who has premiered works with over 180 orchestras worldwide paired with a new work of Mexican Grammy Award-winning composer, Eduardo Magallanes. Late Night Catechism (January 23) – A show The New York Times calls "hilarious, well-written and inspired," the interactive comedy is one of the longest running shows in U.S. theater history. Broward’s Artistry N Soul Experience (January 24) – B.A.S.E. (Broward&apos;s Artistry N Soul Experience) exhibit will highlight local black artists as they illustrate the past and present beauty of Broward&apos;s black history. Art Fort Lauderdale (January 24-27) – This “Art Fair on the Water,” transports visitors through the Intracoastal Waterway via regularly scheduled water taxi tours to visit pop-up galleries and exhibits housed in multi-million-dollar waterfront mansions. 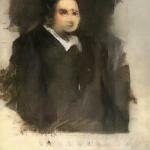 Art Fort Lauderdale will be the first art fair appearance for internationally- acclaimed artist-trio OBVIOUS after selling world&apos;s first AI-generated artwork, &apos;Edmond de Belamy,&apos; (pictured here for $432,500 in October 2018. FATVillage + MASS District Art Walk (January 26) – Fort Lauderdale’s most popular monthly art walk features open galleries showcasing new art exhibits, local artisans, craft makers, food vendors and musicians. 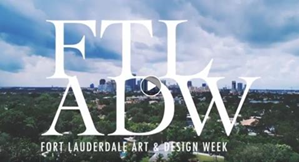 For more information, event details and tickets for Fort Lauderdale Art & Design Week, visit ftladw.com.